In most cases, the topic of safety and sterilization comes very short, although hygiene is of fundamental importance in practice. 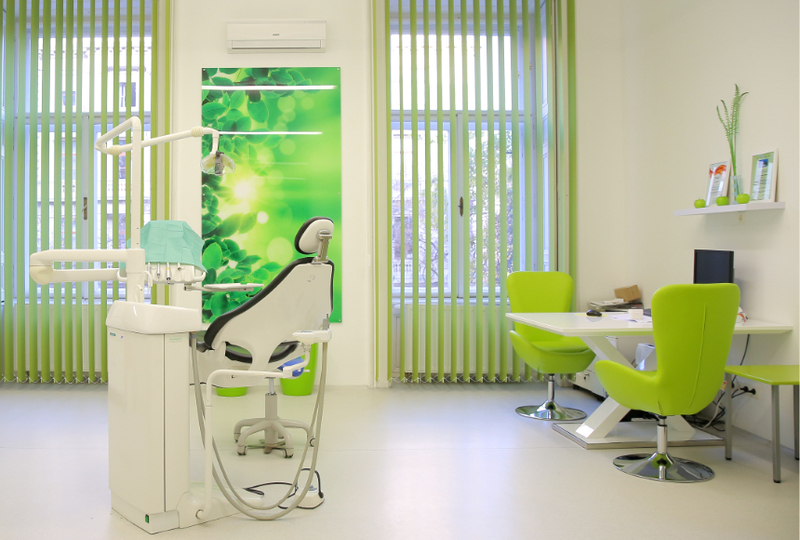 Many dental clinics boast about offering top quality, but what about behind the scenes? Even at ISO-certified dental clinics, most patients are not sure what this certification stands for in terms of hygiene and risk of infection in the dental clinic. At Evergreen Dental we attach great importance to transparency. This starts with our price list or cost estimates, which are a very lean, easily comprehensible and understandable presentation of the provided services. In our communication we are always open and direct. We want to offer our patients the same level of transparency in our hygienic measures and internal protocols, so today we present our safety guidelines and what we at Evergreen Dental pay attention to in particular. Prior to a treatment at Evergreen Dental, an anamnesis form must be completed. This can be printed and filled out then sent back, or filled out digitally via our website. Patients who initially come only for a preliminary consultation can also complete the anamnesis sheet on the spot. The anamnesis sheet contains important questions about the health status of the patient. We ask about possible diseases or conditions that are either in contraindication to the planned treatment, or require special precautionary measures, for example in case of an infectious disease. If necessary, laboratory examinations must be carried out in advance or a consultation with the General Practitioner or a treating specialist needs to take place. The same applies to some medication that the patient takes and which must either be dosed differently or paused during the dental treatment. It is absolutely in the patient’s interest to diligently fill out the anamnesis sheet. If critical circumstances which make an immediate dental treatment impossible will only be known on the spot the patient will be disappointment to have travelled in vain. If there is a risk of infection, special precautionary measures must be taken to ensure that the health of patients and Evergreen Dental employees is not compromised. Evergreen Dental provides a separate treatment chair for patients with infection. After treatment of an infected patient, no further treatment is performed on the same dentist’s chair for the rest of the day. The room is then ventilated and exhausted according to the regulatory requirements. When treating infected patients in addition to the basic protective equipment (goggles, surgical mask and work clothes) also special protective equipment is worn. These include special clothing and surgical cap. These are all single-use equipment and will be disposed in the hazardous waste refrigerator after treatment is complete. The cleaning is carried out with broad-spectrum disinfectants. For instruments, imprints we use a solution of Gigasept 3% and Sekusept, for cleaning the surfaces we use Schülke Mikrozid. To disinfect the hands, members of the staff use Primasept and Desderman Gel. In these cases no turbines or mechanical depurators are used. For safe aspiration we use Gracey Set and Exhaustor Plus. Only silicone impressions are taken and the dental laboratory is always informed about the special circumstances so that the impression is treated with the appropriate care. As a matter of principle, all patients are treated with the same care as if they were potentially at risk of an infection which is for the benefit of all patients and employees of Evergreen Dental. The basic protection equipment is accessible and obligatory for every employee. It includes safety goggles, surgical mask, plexi (eye protection), assistant’s cap, sterile gloves and other accessories such as finger protection. The work clothes are professionally cleaned in a company laundry. There is a special bin for the disposal of hazardous waste that also include the removal of cutting instruments,. This has a special opening through that for example, needles from the syringe can be disposed without contact. The disinfection of the treatment rooms is done manually by the dental assistants. Gigasept, Sekusept and Rotasept are dissolved in a basin and are applied. After cleaning, drying takes place through the use of paper towels. Sterilization and the packaging of the instruments takes place in a separate, so-called sterilization room. All instruments that can be heat treated are sterilized in a Hygoklav facility. These include drills, hand and angle pieces and other non-surgical instruments. After cleaning, the sterile instruments are vacuum-packed and provided with the date of expiry. These instruments are always unpacked just before use, in front of the patient. All surfaces in the treatment rooms can be cleaned easily and carefully. This happens with microzide and is carried out by the specialist assistants with the exception of the floor and the medical desk. The cleaning of the floor, other furniture, such as waiting, office and toilet area is done daily by a professional cleaning company. Waste that is contaminated with blood or saliva is collected in special bags. These are provided by the largest Hungarian specialist company, Septox Kft. The bags are stored in the refrigerator and transported away within the maximum tolerance time for storage. Disposal of the hazardous waste is carried out by the specialist assistants who wear the prescribed protective equipment. These are glasses, mask and gloves. Even when handed over for removal, the protective equipment is worn. The removal is carried out by the specialists of Septox also under strict safety protocols. The impact and cutting instruments, e.g. Needles are stored in special hard-wall container buckets under the washbasin in the treatment room and are also transported in these. Other, non-hazardous waste is disposed by a professional cleaning company. The disinfection of the hands is done with Primasept and Desderman Gel. A careful disinfection of the hands is mandatory before each treatment, immediately after removing the protective gloves, between the care of two patients and after instrument cleaning, before touching new instruments, before leaving the clinic. The surface cleaning is carried out with a Mikrozid solution and the use of Mikrozid Whipes wipes from the company Schüle from Germany. Before starting any dental treatment, the entire surface of the treatment chair and worktable is cleaned with disinfectant. Also, the protective blanket is always replaced, we use only disposable blankets. Between two treatments the table and the surface of the roller table are thoroughly cleaned in the treatment zone. We follow the cleaning guidelines according to the manual “Disinfecting Instructions” issued by the National Epidemiology Centre. All instruments that can be heat treated are sterilized in our Hygoclav autoclave and vacuum-packaged in a sterile way. The sterile instruments are stored as prescribed in the treatment rooms or in the central warehouse of the dental clinic. Other instruments are collected in the wet state and cleaned manually and then disinfected in a Sekusept or Gigasept 3% solution. 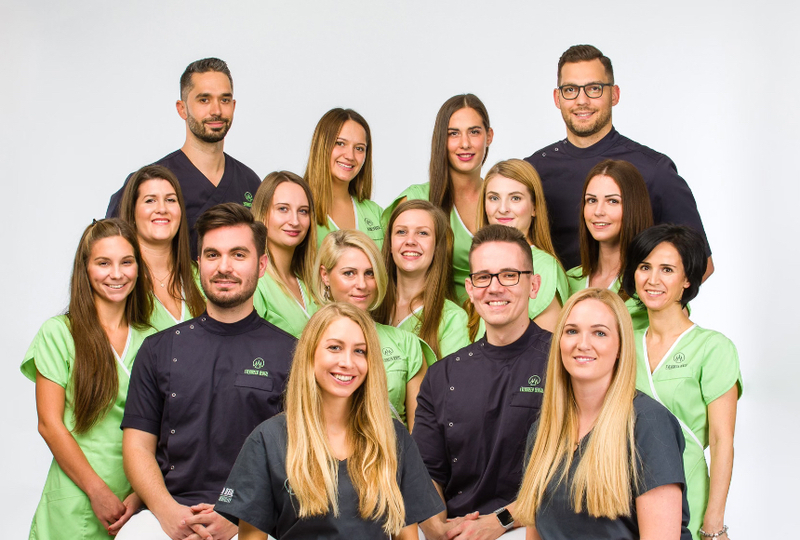 In their hygienic protocols, Evergreen Dental follows the common guidelines of the National Epidemiology Centre, as well as the Professional Course of Lectures of the Dental and Oral Diseases Section, according to the “Internal Infection Control” guidance to prevent the risk of infection in dental health care. 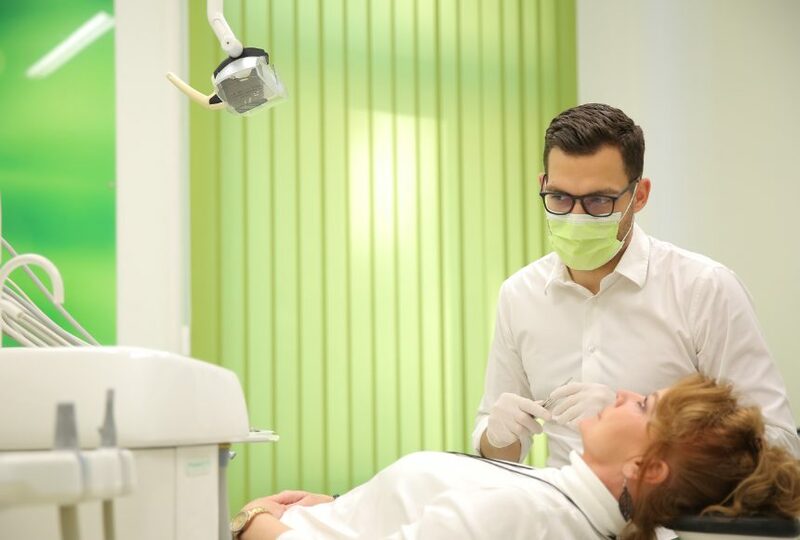 If you care about hygiene, sterilization and dental chair safety, then Evergreen Dental is the place to choose and you can be sure that we are aware of all possible hazards and prevent them properly. If you want to know more about hygienic precautions, or have any questions about us or about your dental treatment, then contact us without obligation.